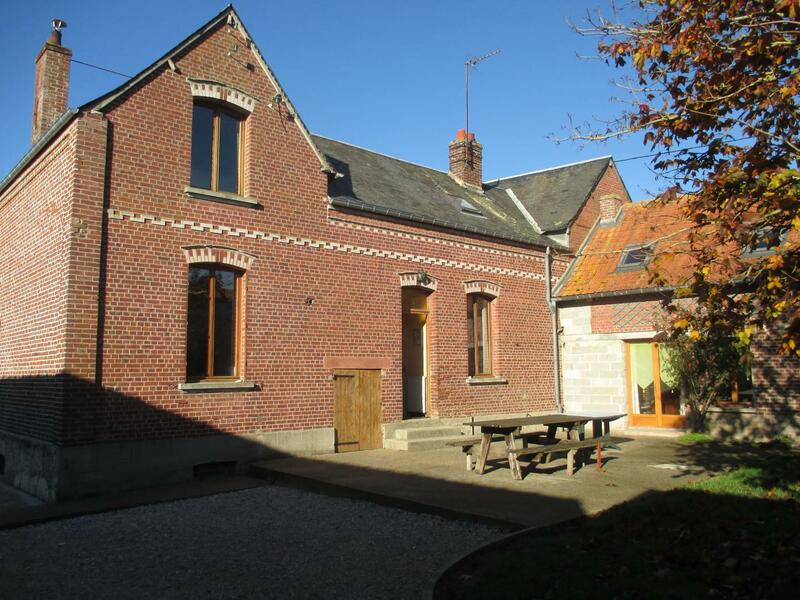 In village, near working farm, 2 other gîtes & guest rooms (B&B), self-contained house (219 sq.m.) on 2 levels with fenced garden. Ground floor: lounge, dining room, fitted kitchen (fridge-freezer), bedroom (double bed), shower room, separate WC. 1st floor: 3 bedrooms (double bed) (double bed) (2 single beds), attic bedroom (2 single beds), shower room, separate WC. Oil-fired central heating. Fenced garden (350 sq.m. ), private parking in courtyard, terrace. Pet allowed (surcharge: 10€/day). Mandatory cleaning.